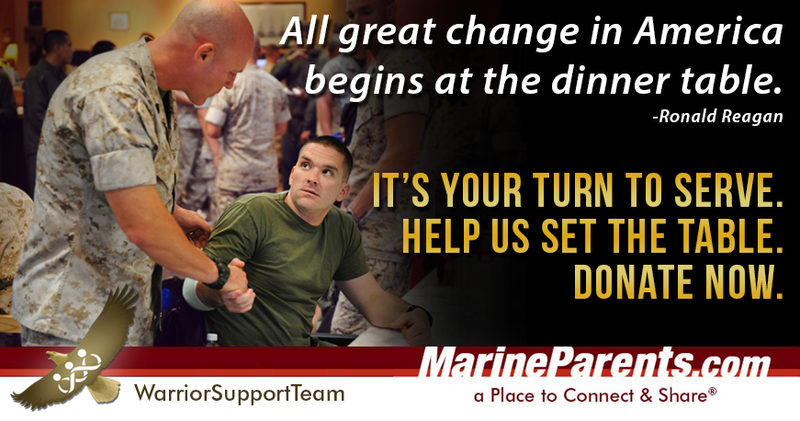 The Warrior Support Team needs your help in supporting recovering warriors. Learn more in our first piece. "All great change in America begins a the dinner table." 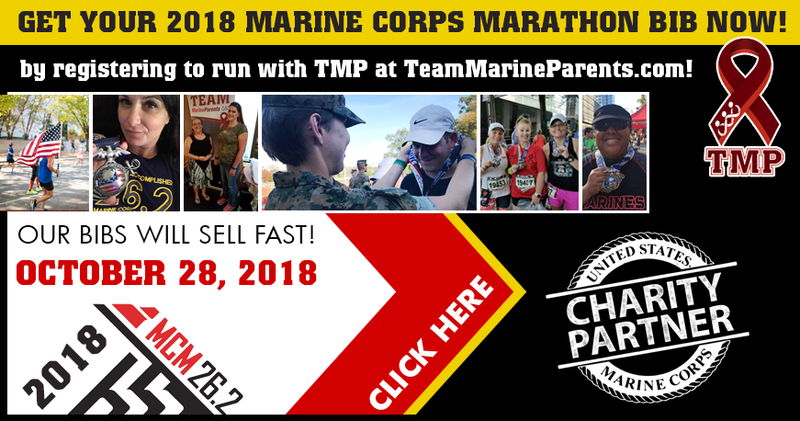 While Penny doesn't have a direct connection to any specific Marine, she decided she wanted to run this year's Marine Corps Marathon to honor our Marines by raising funds on their behalf. 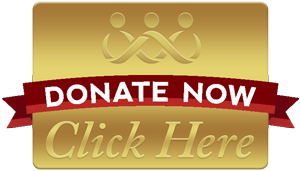 Penny has currently raised more than $600 for TMP this year. Thank you, Penny, for being a part of the team! Good luck in October! *Image info: Penny Terwelp in action (image used with permission). 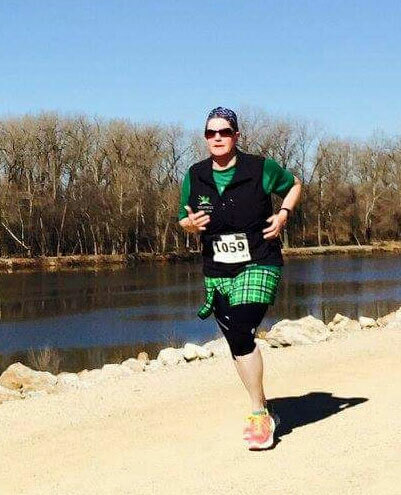 This week's featured volunteer is a proud Marine sister from Florida--Christina Johnston. 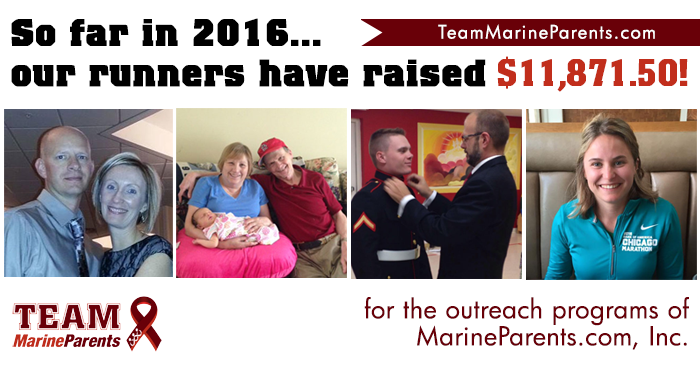 Christina has been a volunteer with Marine Parents since June of 2015, initially serving as as a Platoon Parent. 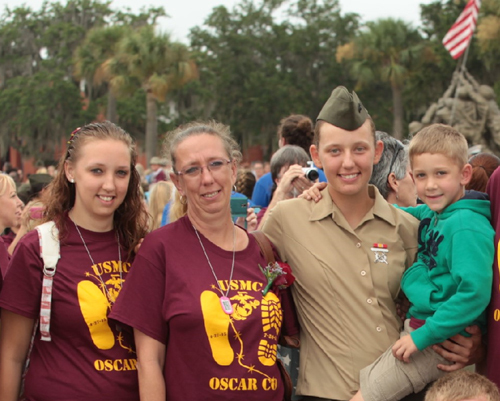 After her sister graduated from boot camp, Christina was then promoted to the position of Company Leader for Oscar Company, Parris Island. 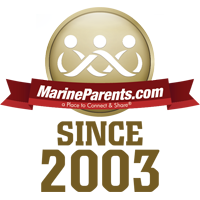 Christina is the first Official Marine Parents Facebook Group volunteer sibling. According to 4th Battalion Leader, Karen Vlang, "Christina is the sister of a Marine who shows enormous support, encouragement, and a positive spirit when her sister was in Boot Camp. Her contributions as a member singled her out as having all the qualities of a phenomenal volunteer. Christina serves with commitment and honor and the members of Oscar Company appreciate her dedication to them." *Image info: Christina Johnston (far left) at her sister's graduation. (image used with permission). Earlier this year, on March 11, a civilian T-59 Hawk jet aircraft slammed into Marine Lance Corporal Anthony DuBeau's truck during a botched takeoff at Marine Corps Air Station Yuma, Arizona. At the time of the accident, Marine Lance Corporal John Ferguson was pouring concrete with a construction crew approximately 50 yards away. When the plane collided with the truck, Ferguson immediately sprang into action, sprinting toward the wreckage and moving DuBeau to safety. 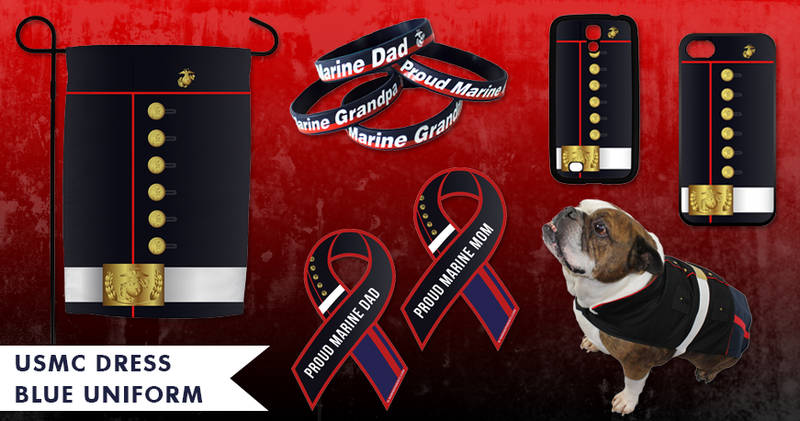 For his actions, Ferguson was recently awarded the Navy and Marine Corps Medal--the Corps' highest non-combat medal for heroism--for his actions that day. Despite Ferguson's efforts, DuBeau, 23, died from his injuries. *Image info: Corporal John Ferguson receives the Navy Marine Corps Medal on July 11, 2016 at Marine Corps Air Station Yuma, Arizona. (USMC photo by Private First Class Brendan King). Marine Corps officials have announced that changes are in store for the Marine Corps’ physical and combat fitness tests, while minor adjustments to the body composition program are already in place. As of January 1, 2017, all Marines will have the option of doing pull-ups or push-ups; however, only those who choose pull-ups will be able to earn maximum points on the physical fitness test. The flexed arm hang will be eliminated for women. 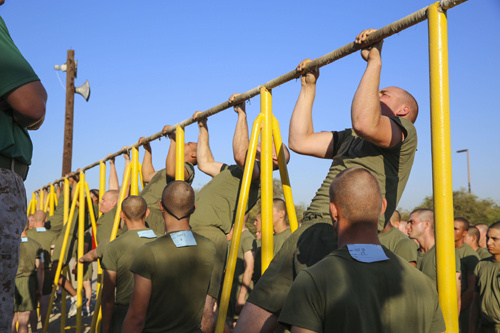 “Push-ups become an option on the PFT, but Marines are incentivized toward pull-ups, as these are a better test of functional, dynamic upper body strength and correlate stronger to the physically demanding tasks,” the statement said. Also effective January 1, Marines taking the combat fitness test will have to complete five push-ups during the maneuver under fire following the simulated grenade throw instead of the current number of three. Marines who score 285 and above on both the PFT and CFT will be exempt from height, weight, and body composition limits and will be allowed an additional 1 percent of body fat. 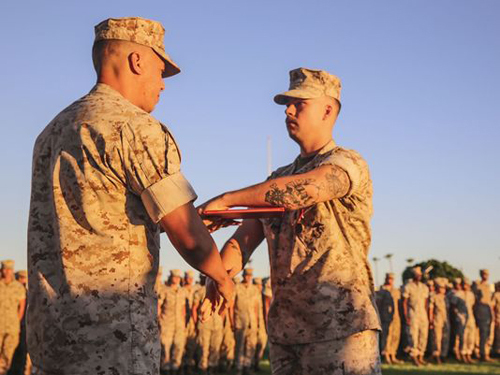 Other changes to the body composition program include relaxed weight limits for female Marines, the use of more precise tape-measuring devices, and moving BCP waiver authority to the first general officer in a Marine’s chain of command. These changes take effect immediately. *Image info: Recruits of India Company, 3rd Recruit Training Battalion, conduct a maximum set of dead hang pull-ups during a final physical fitness test at Marine Corps Recruit Depot San Diego, October 22, 2015. (USMC photo by Lance Corporal Angelica I. Annastas). Marine Corps officials have announced that the Corps will begin testing a new high-tech precision-guided mortar round later this year. Raytheon Missile Systems will deliver more than 160 of its new 120mm Precision Extended Range Munition, or PERM, in October, according to Joe McPherson, Fire Support Systems Product Manager for Marine Corps Systems Command. The Corps will test the rounds for approximately three months before awarding its first production buy in January 2017, McPherson said. The Corps expects to begin fielding the new mortar round in early 2018. 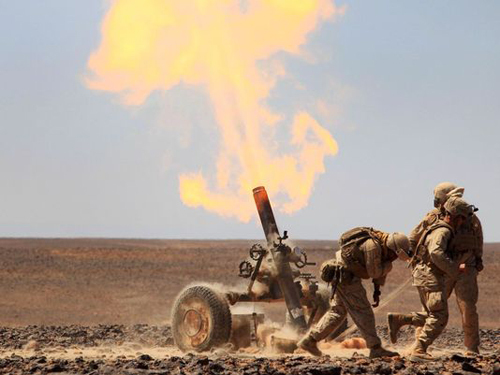 *Image info: Marines fire a 120 mm towed mortar system during Exercise Eager Lion. Raytheon Missile Systems will deliver 162 new precision-guided mortar test rounds to the Marine Corps later this year. (USMC photo by Staff Sergeant Robert Fisher). Marine Corps officials have announced that Marines in Japan will test new tropical uniforms and boots this summer, as the Corps is on the hunt for lightweight, breathable boots and utility uniforms that dry quickly in rainy, humid climates. Lieutenant Colonel Rob Bailey, Product Manager for infantry combat equipment at Marine Corps Systems Command, said the wear tests will be conducted during scheduled training. “The operationally realistic training in a challenging environment will provide good feedback on the effectiveness, durability and other characteristics of the boots, and will help to inform the development of performance specifications,” Bailey said. 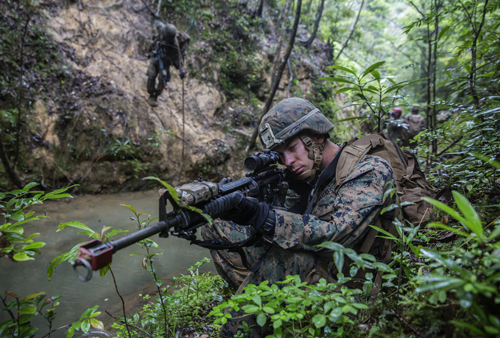 *Image info: Marine Lance Corporal Justin D. Enger sets up a security perimeter while the rest of his platoon rappels down the mountain at the Jungle Warefare Training Center, May 19, 2016 at Camp Gonsalves, Okinawa, Japan. (USMC photo by Lance Corporal Jessica Etheridge). Retired Marine General John Kelly, one of the Corps' most respected and admired leaders in recent years, has recently been named as the newest Chairman of the Board of the Marine Corps Heritage Foundation. 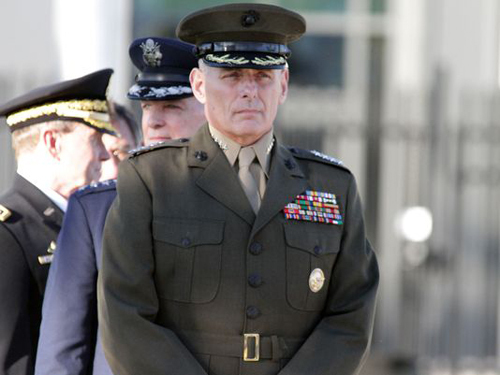 Kelly, whose career in the Corps lasted more than 40 years from the time he first enlisted in 1970 until his retirement earlier this year, played a pivotal role in the fight against al-Qaeda in Iraq before becoming the senior military adviser to then-Secretary of Defense Robert Gates and the head of U.S. Southern Command. *Image info: Retired Marine General John Kelly, shown here during a U.S. Southern Command’s change of command ceremony, will serve as the head of the Marine Corps' Heritage Foundation. (US Army photo/released). 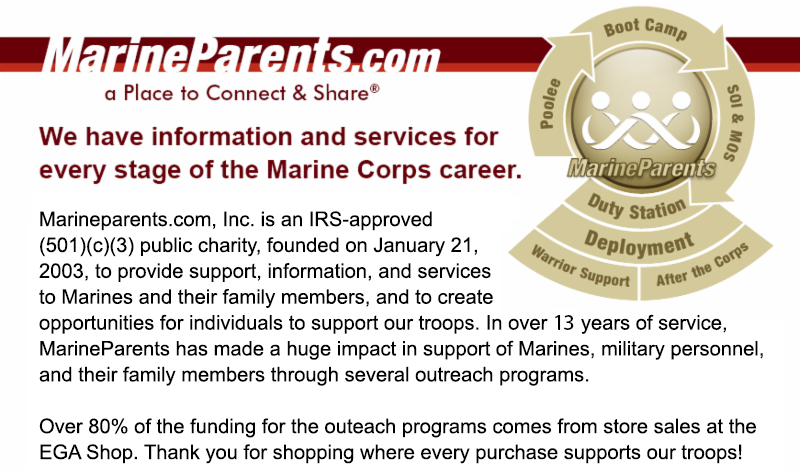 This Week in Marine Corps History: "An Act for Establishing and Organizing a Marine Corps"
Two hundred and eighteen years ago, on July 11, 1798, second President of the United States, John Adams, approved "An Act for Establishing and Organizing a Marine Corps", and it became law. 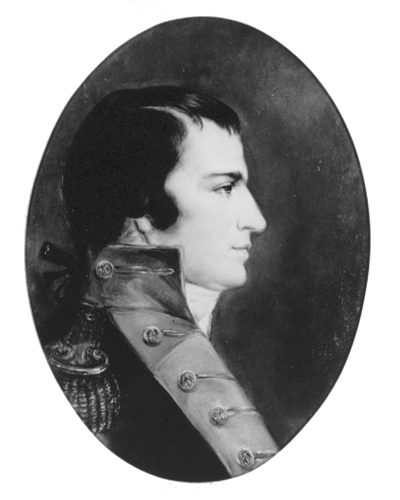 The following day, President Adams appointed William Ward Burrows the Major Commandant of the new Corps. In August, Major Burrows opened his headquarters in Philadelphia, which, at the time, was still the capital of our young nation. *Image info: Commandant William W. Burrows. (Public domain image/released). 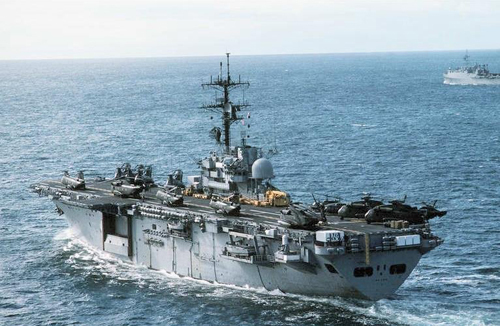 Twenty-three years ago this week, on July 14, 1993, the USS Iwo Jima was decommissioned after over 30 years of service in a ceremony at Norfolk Naval Base, Virginia. The ship, named for the World War II battle in which three Marine divisions defeated 20,000 Japanese troops, was commissioned August 26, 1961, and it was the first ship specifically designed as an amphibious assault ship from the keel up. *Image info: The USS Iwo Jima (U.S. Navy photo/released).